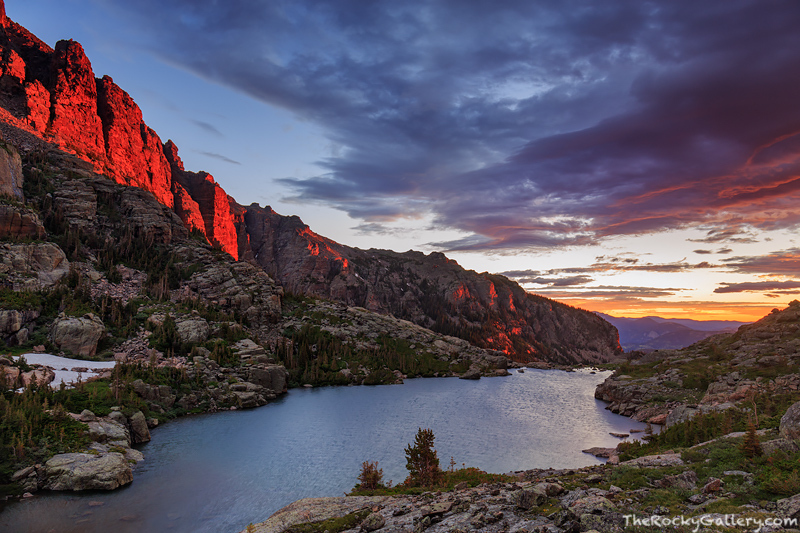 Located high above Loch Vale, Lake of Glass is one of Rocky Mountain National Park's most beautiful locations. This alpine cirque near the base of Mount Taylor presents hikers with beautiful view of Rocky Mountain National Park both to the west as well as to the east. Here a majestic sunrise unfolds of Lake of Glass and Loch Vale below painting the spires and skies with color. Photo © copyright by Thomas Mangan.